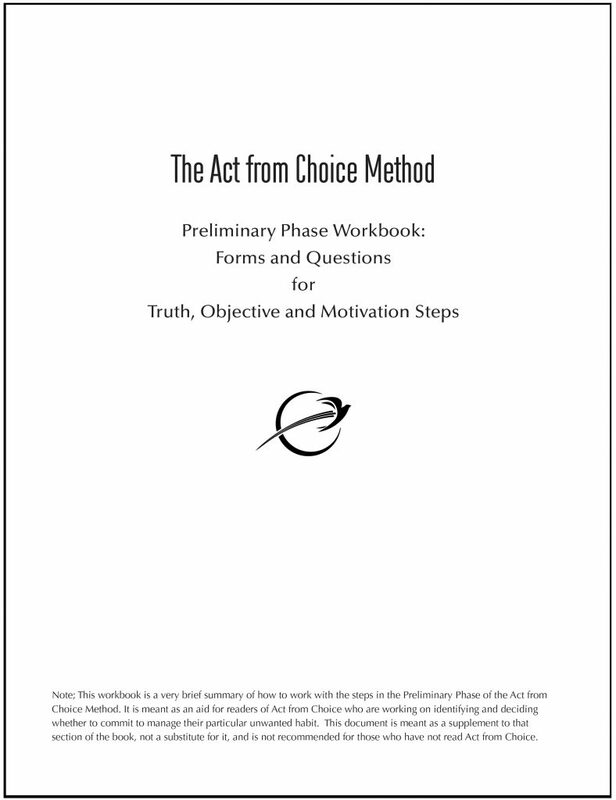 This workbook is a very brief summary of how to work with the steps in the Preliminary Phase of the Act from Choice Method. It is meant as an aid for readers of Act from Choice who are working on identifying and deciding whether to commit to manage their particular unwanted habit. This document is meant as a supplement to that section of the book, not a substitute for it, and is not recommended for those who have not read Act from Choice.